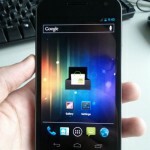 Droyd Cantina: Rumor: Samsung Nexus Prime and Ice Cream Sandwich Announcement October 19th in… Hong Kong? Rumor: Samsung Nexus Prime and Ice Cream Sandwich Announcement October 19th in… Hong Kong? After the postponed presentation of the Nexus Prime and Ice Cream Sandwich, now the rumors are, that it will be held at October 19th 2011... in Hong Kong. I hope they announce it officially, soon. There are a lot of press that needs to do their schedule. And you know, they better should make it easy for the media to cover it. But to have this event in Hong Kong is quite a bit unusual. Maybe it's also a dig against the US market and their weird patent situation. I can't wait for it. Are you looking forward to Ice Cream Sandwich? Rumor: Samsung Nexus Prime and Ice Cream Sandwich Announcement October 19th in… Hong Kong? :"